An advanced Linux Line Chart Software helps to create stunning line charts at lower cost. 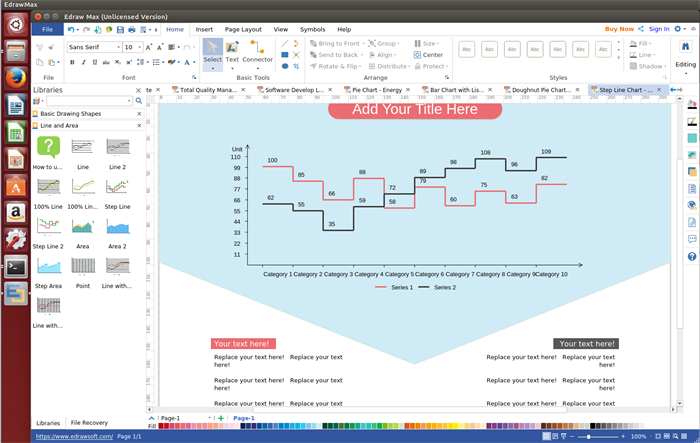 Edraw Line Chart Software for Linux is one of the best line chart drawing tools that comes with a lot of free and editable templates. Users can design their own awesome line charts quickly. Furthermore, its built-in vector symbols greatly enhance your productivity. Various free templates and examples are available in this software. Visual and effective display of data series. Automatic changes of the line point position according to the modified rate of its point value and axis max value. Supports to add description to any shape or line. A set of nice-looking themes with advanced effects. You are allowed to change the whole diagram by changing the active theme in one click. 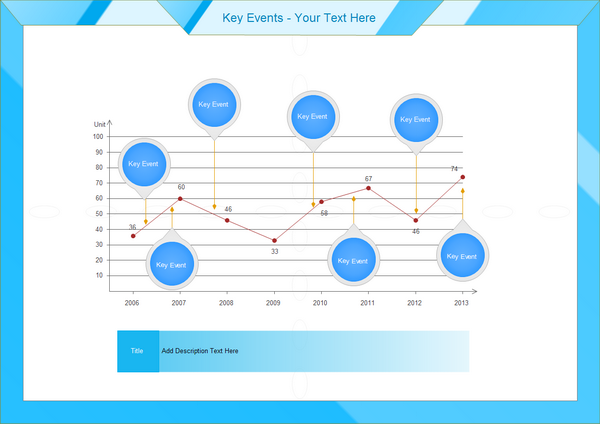 You can export the line chart to pdf, ppt, html, word, excel, and many other graphic formats such as jpg, png, etc. 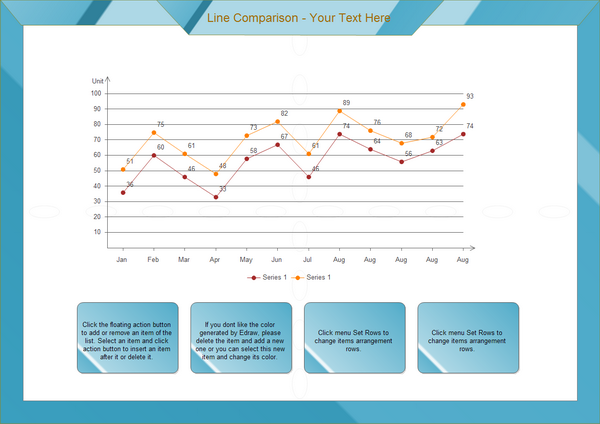 This program offers you pre-made line chart symbols like line, 100% line, step line, area, step area, point, etc to help create line charts accurately. Open a line chart drawing page. Navigate to"File" menu > "Chart". Double click "Line" to open a blanking drawing page or you can select an existing example to get started quickly. Add line chart shapes. Drag and drop shapes from the left libraries to the drawing page. Edit line chart data. Double click the value text above line point to edit the chart data, the line point position changes according to the rate of its point value and axis max value. Save or export the line chart. Click "Save" on "File" tab to save the line chart as the default eddx format, or choose "Save as" on "File tab" to save as other formats such as jpg, png, pdf, etc. Learn detailed guide: how to create a line chart. Nice-looking line chart examples as below are created by our Linux line chart drawing software. Simply free download, edit, share even print them.